Honey Maid rolled out another spot showing a wholesome American family, this time focusing in on a disabled aunt and her niece. Plus, YouTube matched brands with some of its creative partners for ten minutes at VidCon to see what would happen. At VidCon this year, YouTube asked some of its creative partners to meet with a brand, including Beats by Dre and Proactiv, for ten minutes. 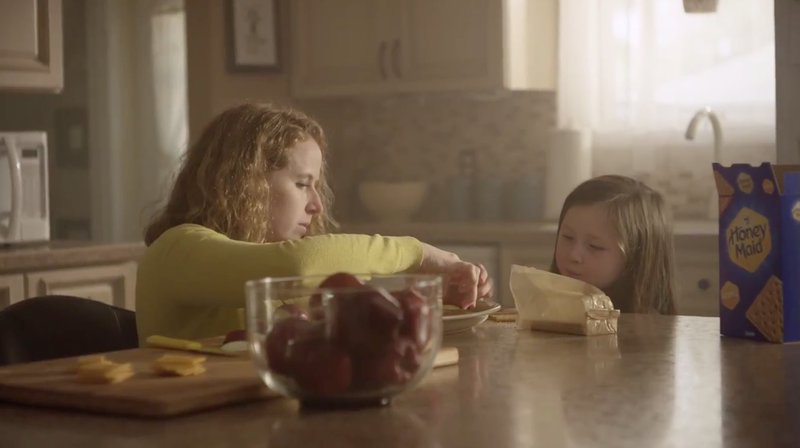 In Honey Maid's latest spot, part of a series featuring all types of American families, a disabled aunt and her niece spend some time together in the kitchen making apple and cheddar melts. Jamaica scored a surprising win against the U.S. Men's National team in the Gold Cup semifinal, and FCB Garfinkel made a spot on the fly for the Jamaica Tourist Board to celebrate the win. Showtime canceled it's advertising-themed comedy Happyish. The show's first season ended last week and won't be picked up for another. According to a recent survey from Axalta Coating System, white is the most popular car color in North America, followed by black and gray.